Although most plant diseases are the result of natural or unintentional causes, cropping systems and essential natural plant resources such as forests and grasslands also are considered vulnerable to actions of nefarious intent. Microbial forensics is defined as the application of scientific approaches to solving a crime that involves a microorganism; its goal is to investigate and present unbiased scientific evidence useful for attributing the crime to a perpetrator. Recent programs intended to enhance general capabilities in microbial forensics have included specific attention to plant pathogens. 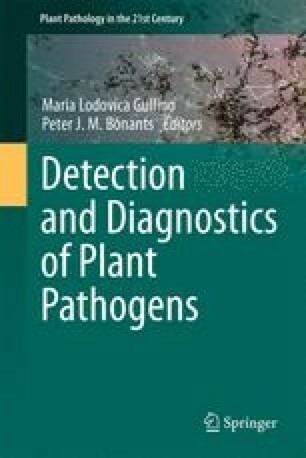 Compared to the strategies employed by traditional plant disease diagnosticians, forensic applications of plant pathogen diagnostics require unusually high levels of stringency, reliability, and prior validation. These assays must be paired with court-defensible sampling methods, chain of custody, and other traditional and non-traditional methods of forensic investigation.